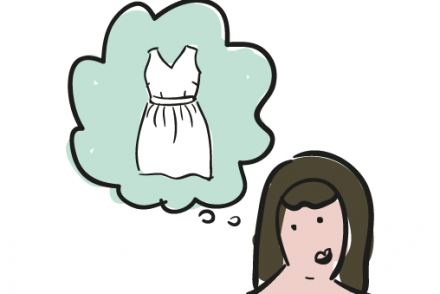 I’ve been sewing like a woman possessed by the ghost of a sewing machine lately! My Granma gave me her overlocker, machine and sewing cabinet along with a bunch of fabric so I haven’t really come up for air in the last fortnight. My initial priority was to sew EVERY stretch fabric into booty shorts and leggings but I’ve discovered how ridiculously expensive stretch fabric is so that project has been shelved. 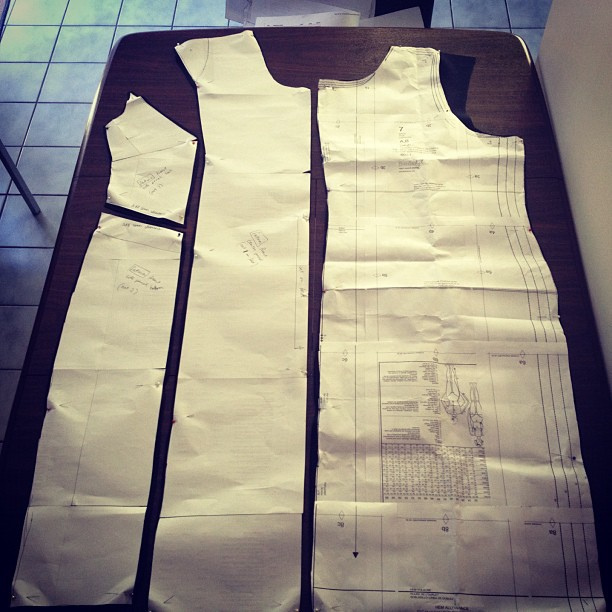 The dress pattern pieces laid out, showing the side panels that are slashed diagonally at the waist. Lincraft had a 50% off fabric sale so I scraped together some money to buy black ponte (and then went back to get some purple!) 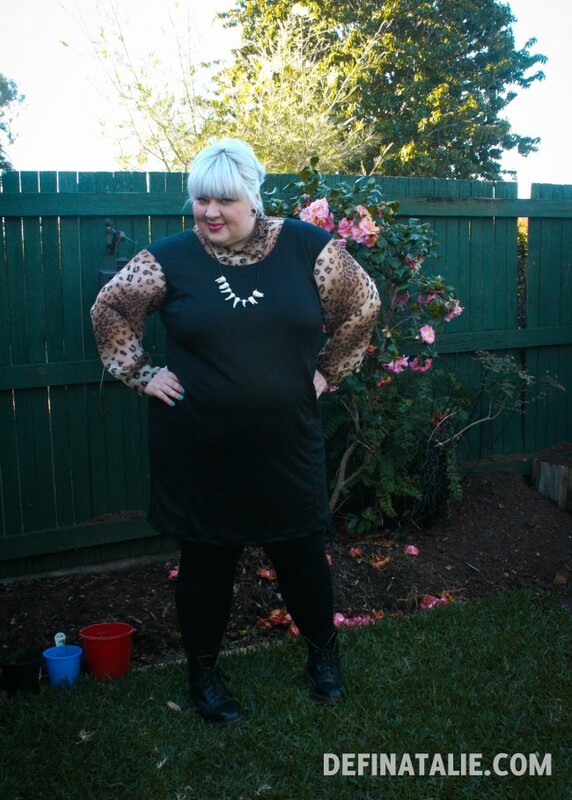 and made this dress based on the Burda Style Fatina plus pattern. I’d already cut a pair of leggings that were too small and got turned into short shorts, a second pair of leggings that were a little better (ugh I need to perfect the leggings pattern!) so there wasn’t much fabric left to work with. I decided to alter the pattern and converted the bust darts to princess seams, thus leaving me with three front panels that were much easier to accommodate on the fabric I had available. I also dropped the shoulder length for a little self-sleeve. 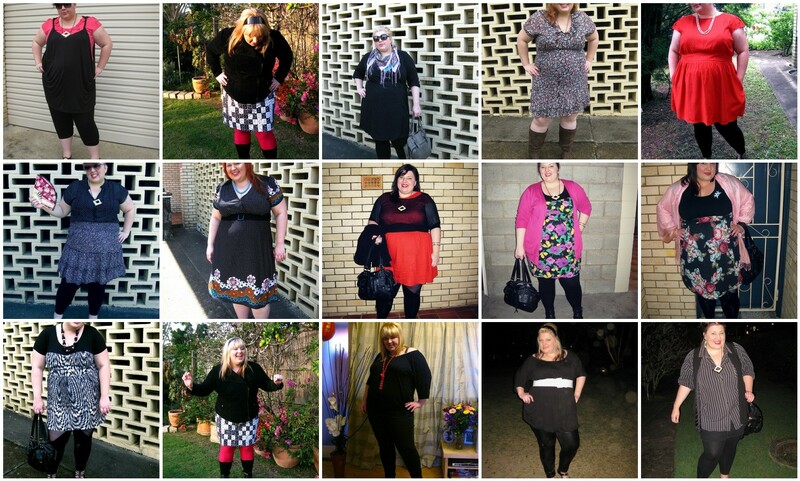 Thanks to my home ec sewing classes and the internet for helping me out with the pattern adaptation skills! 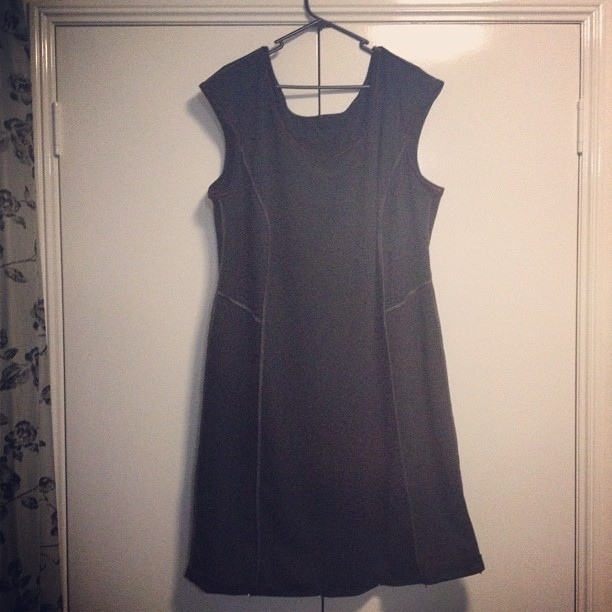 The dress on a hanger turned inside out to show the seams overlocked in grey thread. The skirt is a lot less a-line shaped than this! 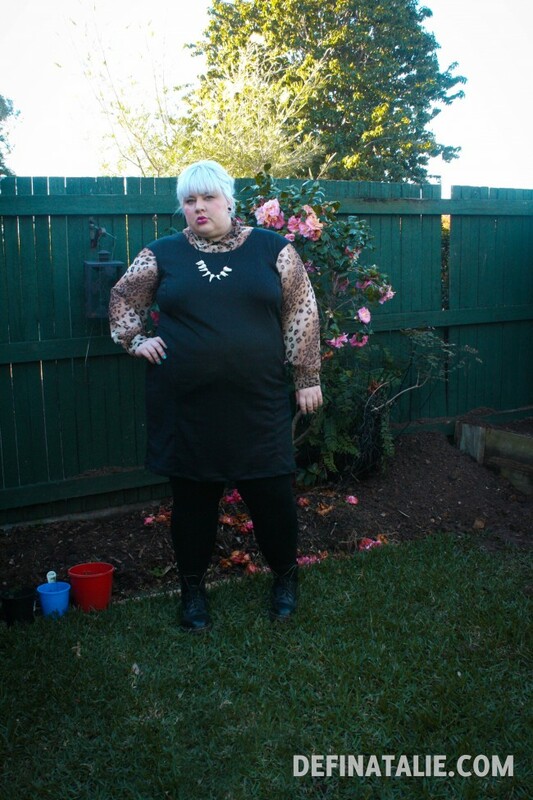 An outfit photo of me (fat and white with white hair) wearing a black sheath style dress with a sheer animal print button up blouse underneath, black tights, Docs and a human tooth necklace. 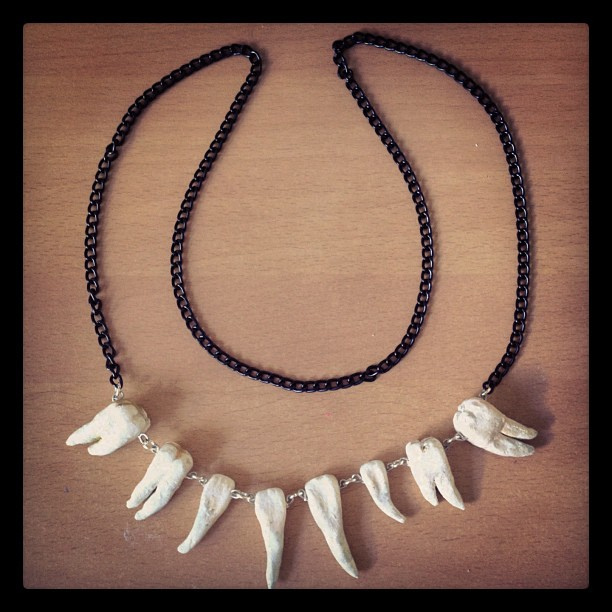 The teeth necklace laid on a table. I’m thinking of selling these? Another front view, with hands on hips. 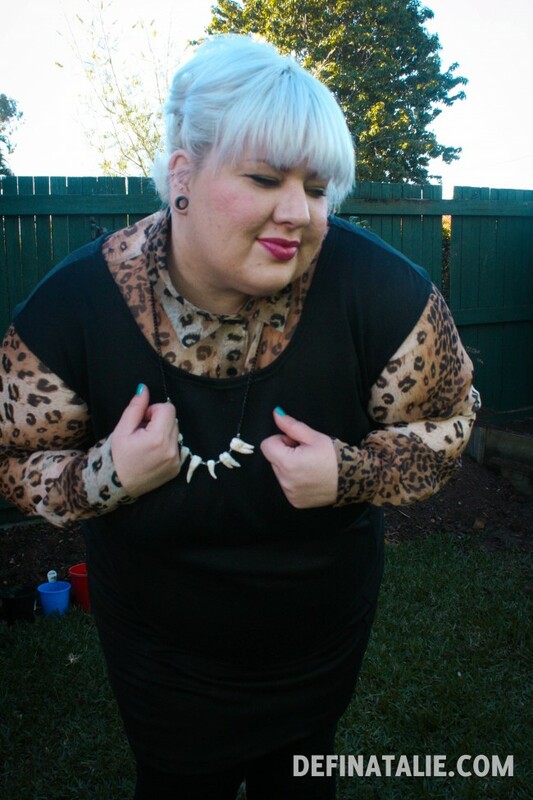 Instaootd: I’ve been cheating on my blog.